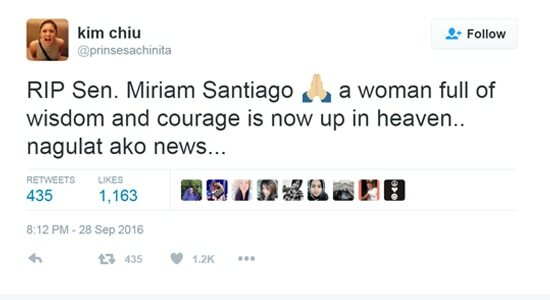 The Filipinos were shocked upon hearing the sad news today that former senator Miriam Defensor-Santiago passed away at 8:52 in the morning after her long battle with stage 4 lung cancer. 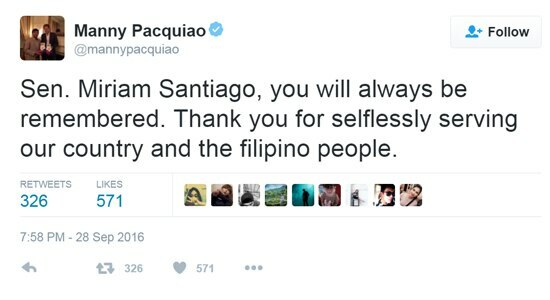 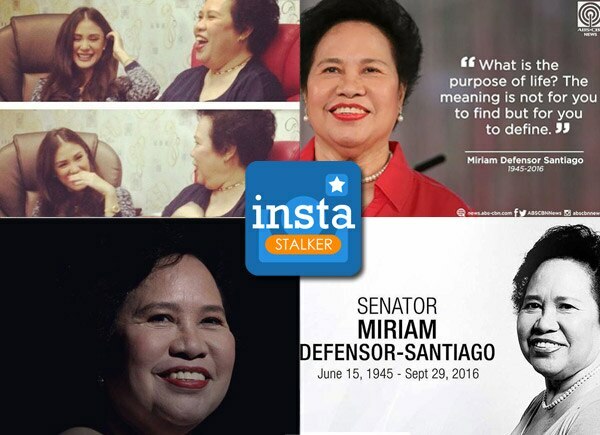 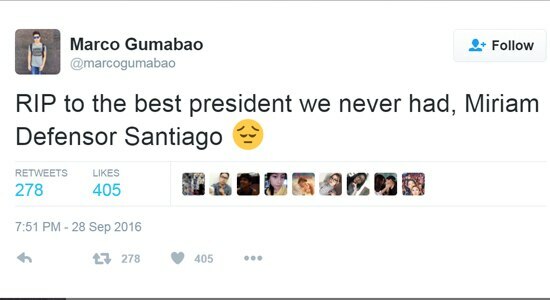 Local celebrities also paid tribute to the Iron Lady of Asia through their social media accounts. 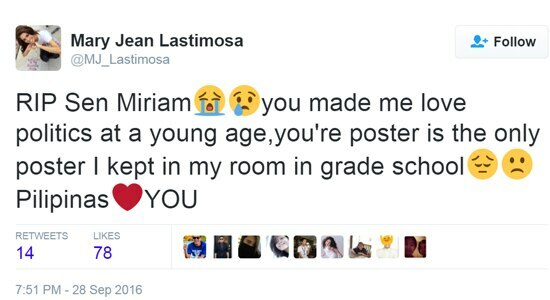 Heart Evangelista, who treats her as her second mom also posted series of Instagram posts saying how special she is to her. 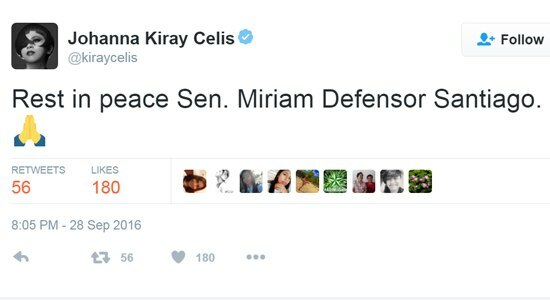 She thanked Miriam for teaching her a lot and recalled their good memories together. 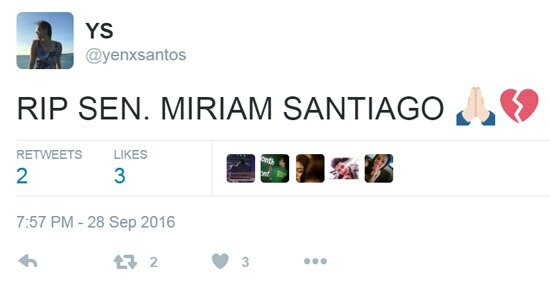 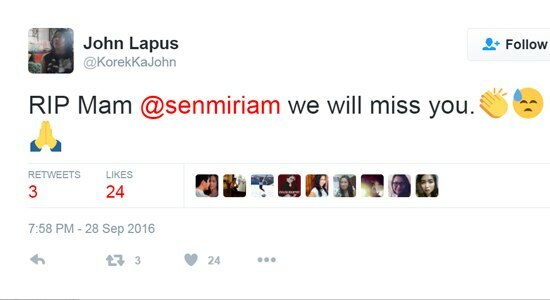 Here are some of the celebrities who were also saddened by her death. 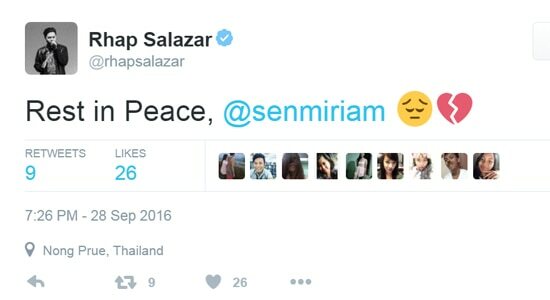 Apart from her Senator Grace Poe who offered a prayer during the earlier hearing of the Freedom of Information Bill, other lawmakers also took their message to the late persona to their social media accounts.